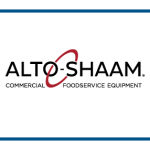 Here at Miller & Associates we represent many different kitchen equipment manufacturers that offer a wide variety of foodservice products, whether that be equipment for cooking, preparing, displaying, seating or, most recently, vending [see our blog on Sally the Salad Robot]. In 2014 we started representing Grindmaster-Cecilware, adding beverage dispensing to that long list. Grindmaster-Cecilware is one of our finest lines that specializes in beverage machines and beverage dispensing systems: including coffee grinders, coffee and tea brewers, urns and many kinds of frozen and non-frozen beverage dispensers and Bubblers. 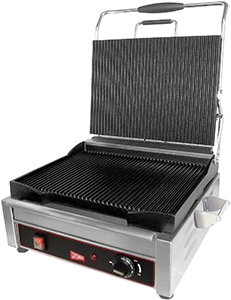 They also offer a complementary foodservice equipment line with fryers, grills and griddles. GMCW began as four separate companies: Grindmaster Corporation, Cecilware, Crathco LTD, and American Metal Ware. Grindmaster acquired Crathco in the 80s and American Metal Ware in the 90s, then finally in 2009 Cecilware and Grindmaster merged into GMCW and started selling their quality products all as a part of the same catalogue. 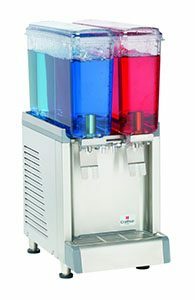 Over the years all four companies made great strides in innovating hot and cold beverage machines, namely Cecilware’s introduction of the world’s first fully automatic coffee urn and Crathco’s creation of the Bubbler, both machines which are still largely used in the foodservice industry today. GMCW is known for innovation, with products like their Simplicity Bubblers which is one of their highest selling pieces of equipment, and continues to innovate every year. Just within the past few years GMCW has introduced the Pony line of espresso machines and the Radiance line of powdered cappuccino dispensers. The Pony espresso machine uses K-Cup like pods to give a fast, super-automated cup of espresso that requires little training of the employee using the machine. 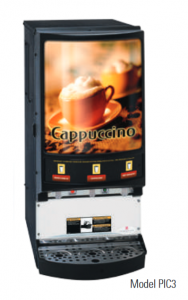 The Radiance powdered cappuccino dispensers guarantee a consistent product and is equipped with Wi-Fi, which gives it the ability to report real-time usage data to the end user allowing them to adjust their inventory to the demand of the customer. Miller & Associates sales representative JT Thompson talks about the Radiance line and how it can help end users save money and please their customers. In selling so many products, GMCW has a lot of competition from many different companies. 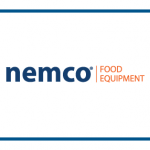 Manufacturers like Bunn, Stoelting, and Taylor are all strong competitors in the coffee, frozen, and refrigerated beverage equipment market. However, GMCW’s quality and price point put them just a step above the rest. Thompson also talks about the quality of GMCW’s tech services and how that also puts them at the top. 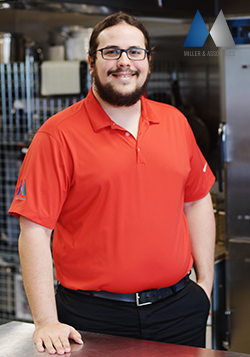 GMCW continues to think of new products and new innovations to bring to the market. One of the newest items from GMCW is the PrecisionBrew combination coffee and tea brewer, which allows users to brew both tea and coffee in the same piece of equipment. 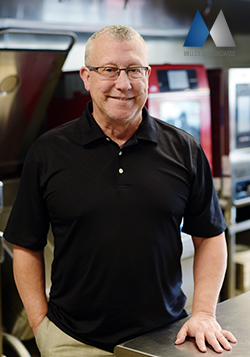 From coffee brewers to fryers, super-automatic espresso machines to Simplicity Bubblers, GMCW does it and does it well.